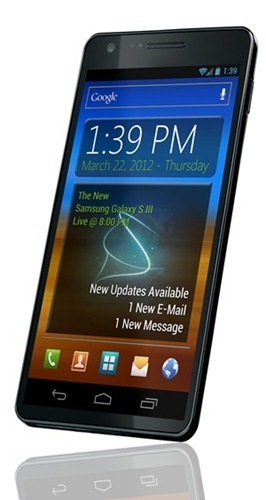 After the glorious success of the Galaxy Y, Galaxy S II and Galaxy Note, Samsung is getting set to unveil and launch its next flagship smartphone – the hotly anticipated Galaxy S III. While we do already know a lot about the device’s specifications based on numerous reports, a new piece of interesting information recently cropped up and it has been discussed after the break! The news comes from unwiredview in the form of a report in which they discuss Samsung’s current and future market position vis-à-vis the Galaxy S III. According to their “respectable source”, 10 million units of the device have already been ordered by (channel) partner companies that wish to distribute the device. While Apple is currently the world’s number 1 smartphone vendor with over 37 million shipped iPhones in Q4 2011, Samsung is right behind it! Samsung has been riding high on the wave of success this past year with increasingly high sales, enhanced revenue and profits and, consequently, ever-expanding market share. Analysts predict that the Korean company has shipped over 40 million smartphones in Q1 2012 and feel that over 50 million smartphones will be shipped in Q2 2012. These figures don’t sound impossible when you consider that the 10 million pre-orders of the Galaxy S III do not include the overall sales of device which are expected to be equally, if not more spectacular than the record-breaking sales of the Galaxy S II. Coming back to the Galaxy S III itself: the device will, according to reports, come with a 4.8” Full HD 1080p display powered by a 1.5GHz quad-core Exynos chip with a 8MP/2MP cameras, 4G connectivity and, of course, be based on the latest version of Android – 4.0.3 Ice Cream Sandwich – with Samsung’s TouchWiz UX on top. All of this will be packed in a brand new ceramic casing which will give it durability and a high-quality “feel” that, to be honest, Galaxy devices don’t generally have. We’re really looking forward to what the Galaxy S III can bring to the table, especially after all the critical acclaim HTC’s One series has gathered.